After renting homes around London for several periods during the taping seasons of The Muppet Show and looking ahead at the production of The Dark Crystal, Jim decided to buy a house there. He was particularly fond of the neighborhood around the Hampstead Heath and hoped to find something in that area. In February 1979, at the same time that his company was moving into the new New York headquarters on East 69th Street, Jim thought he had a deal to buy a house on London’s Church Row. By March, the deal had fallen through and he continued his search. 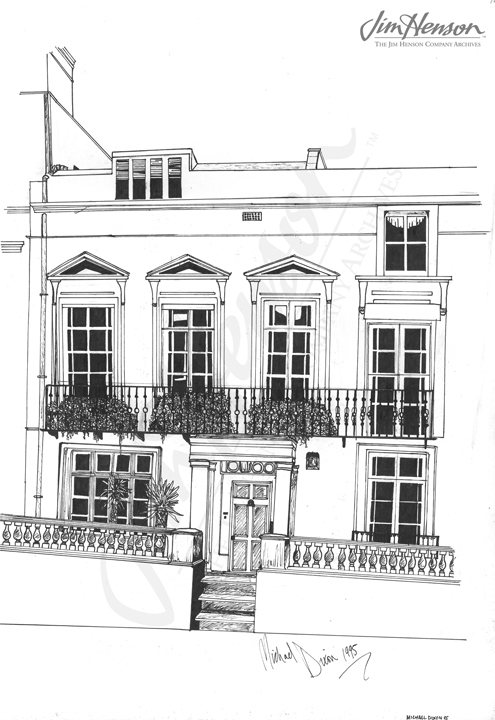 He found a row house up the road from the Heath on Downshire Hill, purchased it in May, and in mid-June, moved in. Jim’s daughter Lisa was there for the summer, and the move coincided with a visit from his step-mother, Bobbie Henson. On the same day, Jim closed a deal to purchase an old postal sorting station, conveniently located across the street, which became home to the Henson Creature Shop as work began on The Dark Crystal. Within two weeks, Jim was ready to host a house-warming party with an Elizabethan theme at his new home. 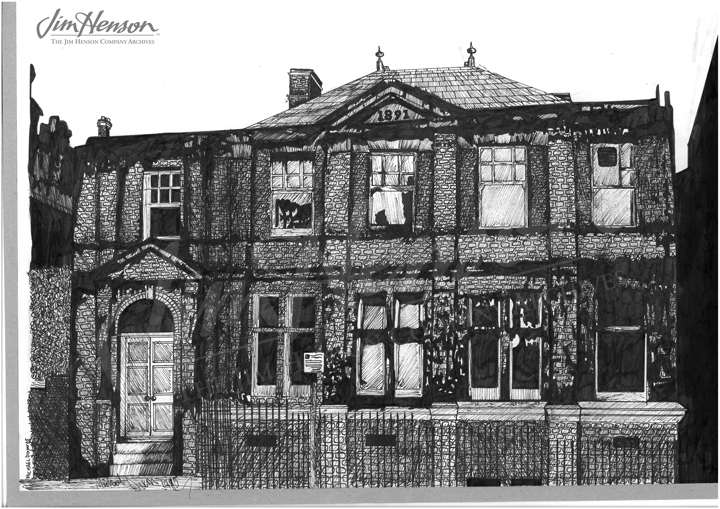 Learn more about Jim’s London residences. 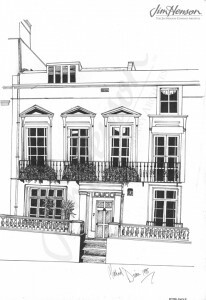 Jim’s London home in a drawing by Michael Dixon. 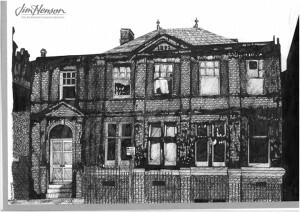 The Henson Creature Shop in Hampstead in a drawing by Michael Dixon. This entry was posted in 06-June '79, 1979, Family and tagged Bobbie Henson, Church Row, Creature Shop, Hampstead Heath, Lisa Henson, London, The Dark Crystal, The Muppet Show. Bookmark the permalink.